This site provides an interactive discography to the recorded works of Percy Faith. The postings below highlight much of the changes over the past couple of years, including the upcoming release of a third SACD featuring the quadraphonic mixes of the albums New Thing and Black Magic Woman. Full audio is available for more than 800 recordings. They can be played in the United States but are not available in all countries. Sony Music owns and provides most of the recordings so I don't know why they restrict access to certain countries. Also, it seems whenever they refresh their content the old links stop working. The Mahalia Jackson recordings were refreshed last year so the old YouTube links no longer work. I'll fix them shortly. 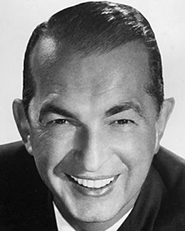 All of Percy Faith's recordings as a solo artist were added in late 2015. I plan to import all of his backings for other artists (e.g. Johnny Mathis, Tony Bennett) sometime in the future. Today Dutton Vocalion announced that two more of Percy Faith's quad albums, Clair & Joy, will be released in multichannel sound on SACD! On October 7, Real Gone Music released a 2-CD set: Percy Faith: The Definitive Collection. The set includes extensive liner notes and recording dates, cover reproductions and photos. Sony/Legacy had previously issued this collection as The Essential Percy Faith in 2014 but only as a digital download. In April, Sony/Legacy will released a 46-track, 3-CD compilation titled The Real... Percy Faith. Does anyone have details for the stereo version of The Way to a Man's Heart from Li'l Abner?